You’re doing everything right. You’re drinking your coffee black. Or you’re adding butter or MCT oil to it or any other number of awesome coffee additions (excluding creamer, sugar, and milk). Perfect. But have you thought about when the best time to drink coffee is? Or what your goals with that cup of Joe are? 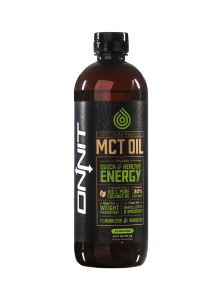 If you are looking to exclude creamer, sugar, and milk, or you just need a different texture to your morning cup of Joe, MCT oil is a perfect coffee addition with a host of benefits. If you’re just drinking it because you happen to like coffee and enjoy the way it tastes and don’t care at all about caffeine, you can stop reading now. But if you (like me) drink coffee because you’re dead tired, then you’ll benefit from knowing when you should down your java to raise you from the bed. If the first thing you do in the morning is get up and drink a steaming cup of coffee, stop. The best part of waking up is not coffee in your cup. Or, it shouldn’t be. When you first wake up in the morning, often your first thought might be to run to the coffee pot to get some caffeine in your system to wake you up. But there’s already an internal process occurring that’s working toward the same goal. When you first wake up, your cortisol levels are shooting through the roof. So instead of stumbling around like a zombie on the way to your Mr. Coffee, get your morning routine out of the way. Go to the bathroom, brush your teeth, take a shower, get dressed, do a kettlebell workout etc. Do everything you’d do normally. Just wait an hour before you drink your coffee. But wouldn’t it be some like super-powered awesome way to wake up if your cortisol and caffeine worked together? Sure. if they worked together. But they don’t. When is Coffee Most Effective? Caffeine and cortisol are like humans and zombies. They’re not friends and they have absolutely no intention of getting over their differences. Though, caffeine does increase your cortisol levels. What drinking coffee during that first hour will do is dilute the effects of the caffeine since cortisol is already working hard to wake you up. Eventually, you may build up a tolerance and then you’ll have to drink more and more coffee to wake up. So if there’s a long line at your Starbucks in the morning (I do not endorse Starbuck’s. My favorite way to get my coffee is in a Velvet Rocket). maybe instead of getting mad about it, secretly thank the people for helping your daily dose of caffeine be that much more effective. Your cortisol levels typically peak between 12-1pm and 5:30-6:30pm. Not everyone is the same though. Just listen to your body. If you feel coffee isn’t working as effectively as it does in the morning, try drinking it a half hour later the next day. Experiment. To get the most out of your coffee, avoid drinking during your peak cortisol times. Instead, ride your natural wave of cortisol and then supplement with coffee when the ride is over. How Long is Coffee Effective? The popularity of coffee in the modern world is indisputable. According to the National Coffee Association’s Coffee Trends Study conducted in 2013, 83 percent of Americans surveyed claim to have had coffee within the last year, while 63 percent said they drank coffee every day. Coffee contains a chemical stimulant called caffeine. A stimulant has several biological effects that “rev” up the body, which is often the reason people drink it. However, coffee drinkers may want to know how caffeine affects the body and how long it exerts its effects. The amount of caffeine in a cup of coffee varies significantly by the type of coffee and the preparation technique. According to the International Coffee Organization, the automatic drip method produces a beverage containing an average of 115 milligrams of caffeine per 5-ounce cup, while instant coffee delivers significantly less — an average of 65 milligrams per 5-ounce cup. Percolator methods, such as the French press, yield an average of 80 milligrams per 5-ounce cup. However, the amount of caffeine varies widely from cup to cup even when taking these factors into consideration. Caffeine’s stimulant effect on the central nervous system is dose-dependent; the more caffeine consumed, the stronger the stimulant effect. It blocks a neurotransmitter called adenosine, which is a central nervous system depressant and has a calming, slowing effect on the brain. When adenosine is blocked, the adrenal glands begin secreting adrenaline, which is the chemical associated with the body’s “fight or flight” response. This response is characterized by increases in heart rate, body temperature, blood pressure and blood sugar levels. When caffeine blocks adenosine, it also leads to increased dopamine levels, which are associated with an elevation in mood. This response is characterized by increases in heart rate, body temperature, blood pressure and blood sugar levels. When caffeine blocks adenosine, it also leads to increased dopamine levels, which are associated with an elevation in mood. It takes approximately 15 to 45 minutes for caffeine to reach its peak levels in your bloodstream. Caffeine has a half-life of approximately five to six hours, meaning that it takes this long for its concentration in your bloodstream to reduce by half. So, if you have a 10-ounce cup of coffee at 7 a.m. containing approximately 250 milligrams of caffeine, by 1 p.m. your body will still have 125 milligrams of caffeine in circulation. For smokers, the half-life of caffeine in the bloodstream is only three hours, which may offer insight into why heavy smokers are often also heavy coffee-drinkers. For smokers, the half-life of caffeine in the bloodstream is only three hours, which may offer insight into why heavy smokers are often also heavy coffee-drinkers. Side effects of quitting caffeine appear approximately 12 to 24 hours after termination of coffee consumption and may include headaches, irritability, and constipation. If you are consuming high levels of caffeine, University of Michigan’s Student Health Services recommends reducing caffeine intake gradually to avoid withdrawal effects. If you are consuming high levels of caffeine, University of Michigan’s Student Health Services recommends reducing caffeine intake gradually to avoid withdrawal effects. Caffeine can prevent people from getting a good night’s sleep1, which means that even more caffeine is needed the following morning to feel functional. This can become a vicious cycle if a caffeine user isn’t careful. Here’s how you can be sure not to let caffeine rob you of your precious sleep. Caffeine primarily prevents sleep by blocking adenosine receptors in the brain. Adenosine is the neurotransmitter that signals the brain that the body is tired and in need of rest. Caffeine fits nicely into these receptors and prevents adenosine from doing its job. As long as there is a steady supply of caffeine flooding the receptors, sleep will be hampered. Some may still be able to fall asleep even though caffeine is still blocking the adenosine receptors, but this sleep is usually shallow and restless. Not only does caffeine block adenosine receptors, but if it is consumed too close to bedtime, it can throw a person’s entire circadian rhythm off. Researchers from the MRC Laboratory of Molecular Biology7 in the UK found that when study participants were given 200 mg of caffeine 3 hours before bedtime, the caffeine delayed their normal circadian sleep pattern by 40 minutes. Participants who also were exposed to bright light along with the caffeine had their sleep cycle delayed by 105 minutes. Not only does this affect how well you fall asleep but also how good you feel the next morning. For humans, sleep is a necessity.2 Sleep is when much of your body’s repair and rejuvenation processes take place. Adults should get 7-8 hours of sleep a night and children still developing should get 9+ hours of sleep each night. Lack of quality sleep is also linked to obesity, mental illness, high blood pressure, and stress.4 Therefore; it is crucial that you get plenty of rest if you want to be in the best health that you can be. Unfortunately, caffeine and lack of sleep all too often form a vicious cycle. People often consume caffeine because they don’t get enough sleep and then caffeine prevents them from getting the amount and quality of sleep they require to feel awake and energized. However, there are some steps that you can take to break the cycle and still get adequate sleep while using caffeine. Heavy caffeine users may benefit from a caffeine detox before these steps to reset their tolerance to caffeine. First, don’t consume caffeine too late in the afternoon.5 If you want to get to bed at 10, then you should probably avoid caffeine after 12 noon. If at noon you consumed 200 mg of caffeine, based on caffeine’s half-life of 5.7 hours, you would still have over 50 mg in your system at 10 pm. Plus, this doesn’t account for any caffeine you consumed earlier in the day, which is also still being processed. If you have a high sensitivity or low built up tolerance to caffeine, you may need to stop your consumption even earlier. Secondly, know your personal safe daily dose of caffeine and avoid having more than that. You can find this by using our caffeine calculator, but for most people, it is between 300-400 mg per day. Insomnia is one of the leading caffeine overdose symptoms and can prevent you from getting the sleep you need. Finally, don’t consume caffeine as soon as you wake up in the morning. Research shows6 that caffeine works best when taken 1-2 hours after waking. When we first wake up, our bodies are in a natural awakening state. If you wait and consume caffeine after this awakening state is wearing off, it will be much more effective in helping you feel alerted and productive. Additionally, it will help keep you from consuming too much caffeine, which would interfere with your sleep the following night. Note: The herb rutaecarpine can help your body metabolize caffeine quicker and thus get more caffeine out of your system before bedtime. ● Do you have trouble falling asleep? ● Do you fall asleep but wake back up shortly after? ● Do you sleep but wake up often throughout the night? ● Do you toss and turn a lot while you sleep? ● Do you often use sleeping pills to help you get to sleep? These all can be indicators that the caffeine still in your system is preventing you from sleeping properly. If you can identify with any of these, you should take the steps mentioned above to manage your caffeine consumption more properly more properly. While caffeine can be useful for helping us be more alert and productive during our busy lives, it can interfere with our sleep. By practicing a little caffeine hygiene, you will be promoting better sleep hygiene as well. On a side note, Recent research conducted by the American Academy of Sleep Medicine found that caffeine does not help with multiple days of sleep deprivation. If you haven’t been sleeping, don’t get behind the wheel of a car or try some other focus required task even if you’ve had coffee or some other source of caffeine. There is no substitute for a good night’s sleep!